Each Fleece Cage Liner is made uniquely to your order. To order a Fleece Cage Liner for your pet’s home, please select from the options below. Select your choice in Liner Length, Liner Width and 2 Fleece Fabric choices (These can be the different or the same). As you can see, there are many sizes listed here, these are either “Common” or most requested sizes. If you cannot find your size, please contact me! I specialise in making custom sizes! Add your cage liners to the shopping cart one at a time – even if you want to buy more than one. Take your time and select the fabrics for the liners, one for front and one for back. If you want the same colour for both sides, simply select the same fabric colour twice. I have been involved in the pet industry in both wholesale and retail sectors for over twenty years. Currently I still work part time at a Perth pet store as a sales person. 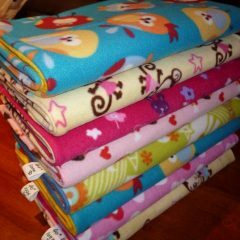 I design and hand-make cage accessories such as fleece cage liners, hanging cubbies, fleece tunnels, cuddle sacks, waterproof lap pads, pocket beds, sleepy sacks, hay holder bags and other items for small pets. 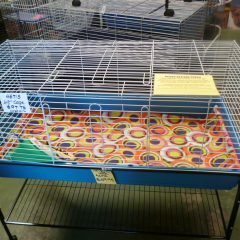 They are most popular with ferrets, rabbits, guinea pigs and rats.